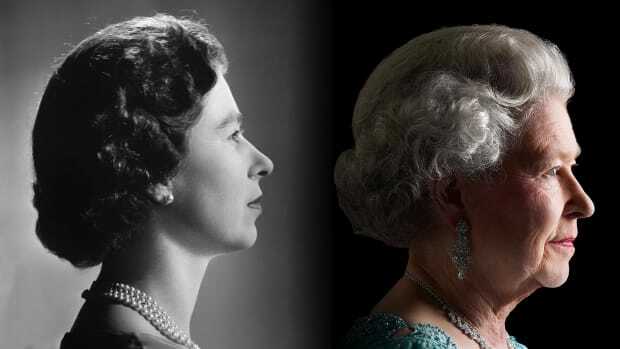 Queen Elizabeth II has since 1952 served as reigning monarch of the United Kingdom (England, Wales, Scotland and Northern Ireland) and numerous other realms and territories, as well as head of the Commonwealth, the group of 53 sovereign nations that includes many former British territories. Extremely popular for nearly all of her long reign, the queen is known for taking a serious interest in government and political affairs, apart from her ceremonial duties, and is credited with modernizing many aspects of the monarchy. 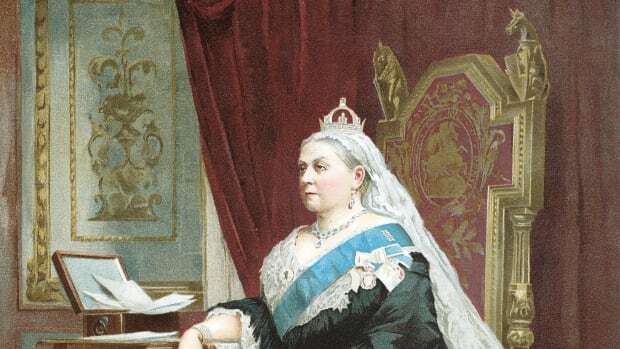 In September 2015, Elizabeth surpassed the record of 63 years and 216 days on the throne set by Queen Victoria (her great-great-grandmother) to become the longest-reigning British monarch in history. When Elizabeth Alexandra Mary, the elder daughter of Prince Albert, Duke of York, and his wife, Lady Elizabeth Bowes-Lyon, was born on April 21, 1926, she apparently had little chance of assuming the throne, as her father was a younger son of King George V.
But in late 1936, her uncle, King Edward VIII, abdicated to marry an American divorcée, Wallis Simpson. As a result, her father became King George VI, and 10-year-old “Lilibet” (as she was known within the family) became the heir presumptive to the throne. Though she spent much of her childhood with nannies, Princess Elizabeth was influenced greatly by her mother, who instilled in her a devout Christian faith as well as a keen understanding of the demands of royal life. Her grandmother, Queen Mary, consort of King George V, also instructed Elizabeth and her younger sister Margaret in the finer points of royal etiquette. Educated by private tutors, with an emphasis on British history and law, the princess also studied music and learned to speak fluent French. She trained as a Girl Guide (the British equivalent of the Girl Scouts) and developed a lifelong passion for horses. As queen, she has kept many thoroughbred racehorses and frequently attended racing and breeding events. 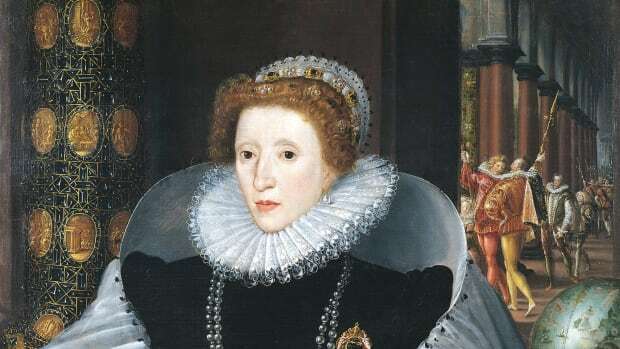 Elizabeth’s famous attachment to Pembroke Welsh corgis also began in childhood, and she would own more than 30 corgis over the course of her reign. Elizabeth and Margaret spent much of World War II living apart from their parents in the Royal Lodge at Windsor Castle, a medieval fortress outside London. In 1942, the king made Elizabeth an honorary colonel in the 500 Grenadier Guards, a Royal Army regiment. Two years later, he named her as a member of the Privy Council and the Council of State, enabling her to act on his behalf when he was out of the country. In 1947, soon after the royal family returned from an official visit to South Africa and Rhodesia, they announced Elizabeth’s engagement to Prince Philip of Greece, her third cousin (both were great-great-grandchildren of Queen Victoria and Prince Albert) and a lieutenant in the Royal Navy. She had set her sights on him when she was only 13, and their relationship developed through visits and correspondence during the war. Though many in the royal circle viewed Philip as an unwise match due to his lack of money and foreign (German) blood, Elizabeth was determined and very much in love. 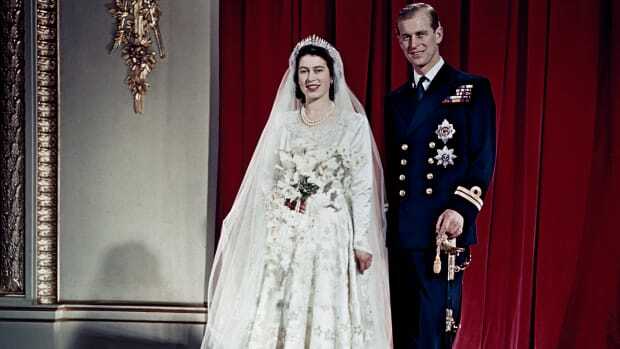 She and Philip wed on November 20, 1947, at Westminster Abbey. Their first son, Charles (Prince of Wales) was born in 1948; a daughter, Anne (Princess Royal) arrived two years later. 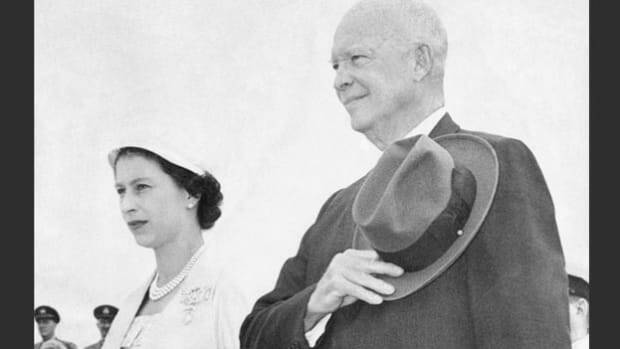 With her father’s health declining in 1951, Elizabeth stepped in for him at various state functions. After spending that Christmas with the royal family, Elizabeth and Philip left on a tour of Australia and New Zealand, making a stopover in Kenya en route. They were in Kenya on February 6, 1952, when King George VI succumbed to lung cancer at the age of 56, and his 25-year-old daughter became the sixth woman in history to ascend to the British throne. 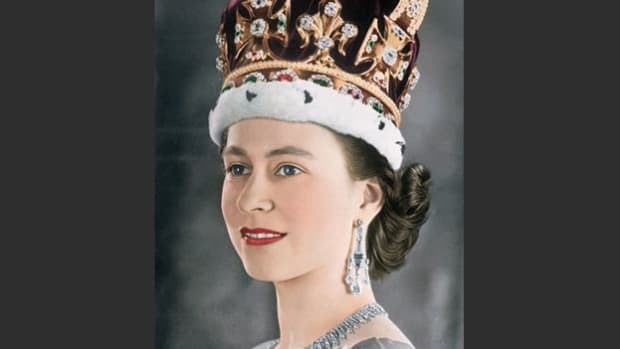 Her formal coronation as Queen Elizabeth II took place on June 2, 1953, in Westminster Abbey. In the first decade of her reign, Elizabeth settled into her role as queen, developing a close bond with Prime Minister Winston Churchill (the first of 13 prime ministers she would work with during her reign), weathering a foreign affairs disaster in the Suez Crisis of 1956 and making numerous state trips abroad. 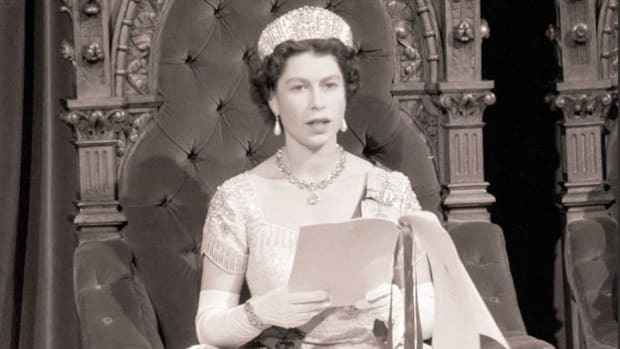 In response to pointed criticism in the press, the queen embraced steps to modernize her own image and that of the monarchy, including televising her annual Christmas broadcast for the first time in 1957. Elizabeth and Philip had two more children, Andrew (born 1960) and Edward (born 1964). In 1968, Charles was formally invested as the Prince of Wales, marking his coming of age and the beginning of what would be a long period as king-in-waiting. 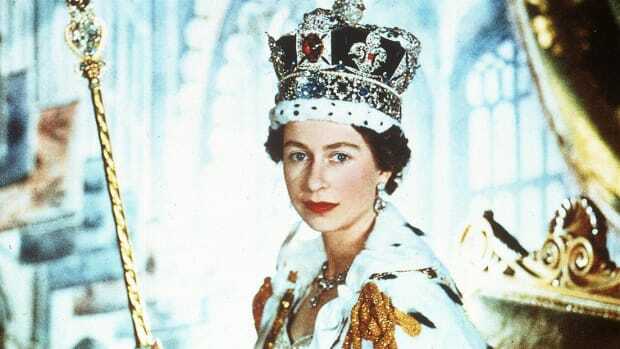 Queen Elizabeth’s Silver Jubilee in 1977, marking her 25 years on the throne, proved a bright spot in an era of economic struggles. Always a vigorous traveler, she kept a punishing schedule to mark the occasion, traveling some 56,000 miles around the Commonwealth, including the island nations Fiji and Tonga, New Zealand, Australia, Papua New Guinea, the British West Indies and Canada. In 1981, all eyes were on the royal family once again as Prince Charles wed Lady Diana Spencer at St. Paul’s Cathedral in London. Though the couple soon welcomed two sons, William and Harry, their marriage quickly imploded, causing considerable public embarrassment for the queen and the entire royal family. In 1992, Elizabeth’s 40th year on the throne and her family’s “Annus Horribilis” (according to a speech she gave that November) both Charles and Diana and Prince Andrew and his wife, Sarah Ferguson, separated, while Princess Anne and her husband, Mark Phillips, divorced. A fire also broke out at Windsor Castle that same year, and amid public outcry over the use of government funds to restore the royal residence, Queen Elizabeth agreed to pay taxes on her private income. This was not required by British law, though some earlier monarchs had done so as well. At the time, her personal fortune was estimated at $11.7 billion. In another modernizing measure, she also agreed to open the state rooms at Buckingham Palace to the public for an admission fee when she was not in residence. 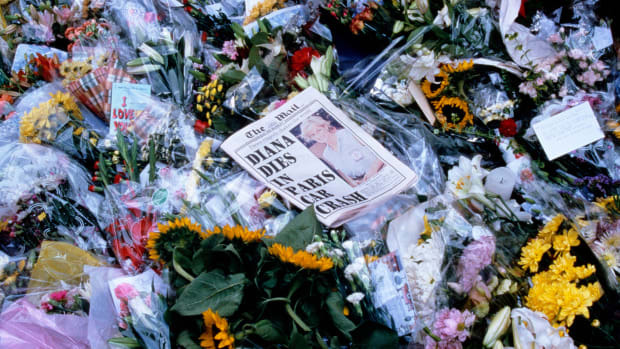 Though Queen Elizabeth initially kept the family (including Princes William and Harry) out of the public eye at Balmoral, the unprecedented public response to Diana’s death convinced her to return to London, make a televised speech about Diana, greet mourners and allow the Union Jack to fly at half-mast above Buckingham Palace. 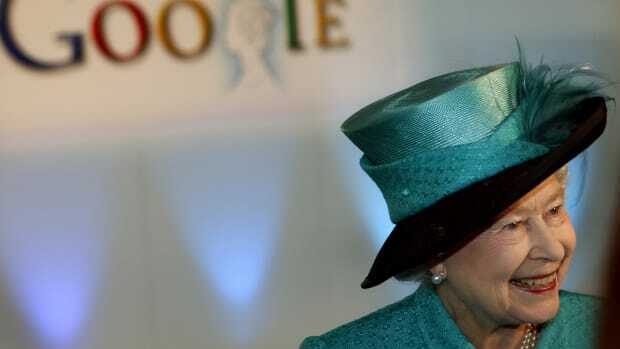 The queen’s popularity, and that of the entire royal family, rebounded during the first decade of the 21st century. Though 2002 marked Queen Elizabeth’s Golden Jubilee—50 years on the throne—the death of her mother (the beloved Queen Mum) and sister early that year cast a pall on the celebrations. In 2005, the queen enjoyed public support when she gave her assent to Prince Charles’ once-unthinkable marriage to his longtime love Camilla Parker Bowles. In her seventh decade on the throne, Queen Elizabeth presided over the pomp and circumstance of another royal wedding at Westminster Abbey, that of Prince William to Catherine Middleton in April 2011. The Duke and Duchess of Cambridge, who will likely become Britain’s next king and queen, continued the line of succession with their children, Prince George (born 2013), Princess Charlotte (born 2015) and Prince Louis (born 2018). A consistent presence by his wife’s side and one of Britain’s busiest royals for much of her reign, Prince Philip stepped down from his royal duties in 2017, at the age of 96. That same year, the royal couple celebrated 70 years of marriage, making theirs the longest union in the history of the British monarchy. In May 2018, Prince Harry, now sixth in line to the throne after his brother’s children, wed the American actress Meghan Markle, a biracial divorcée whose embrace by the royal family indicated just how modern it had become during Elizabeth’s long reign. At the center of it all is the queen herself, who celebrated her own 90th birthday in 2016 but shows few signs of slowing down. She continues to follow much the same schedule as she has for the entirety of her reign, including official work, public appearances and plenty of time outside with her beloved dogs and horses. Though rumors have swirled at various times that Queen Elizabeth would step aside and let Prince Charles take the throne—in 2017, she delegated some of her royal obligations, such as the official Remembrance Day ceremony, to her eldest son, fueling speculation that she was preparing to give him the throne—many royal experts doubt she will ever abdicate, and she remains a consistent, stable presence at the head of Britain’s reigning family. Her Majesty the Queen, The Royal Household website. Sally Bedell Smith, Elizabeth the Queen (Penguin Random House, 2012). Queen Elizabeth II – Fast Facts, CNN. “Will Queen Elizabeth Give Prince Charles the Throne in 2018?” Newsweek.